An underpriced premium midfielder poised to have the best year of his career, what else do I need to say? There’s every possibility that Josh Kelly will be the best fantasy player this season. No, seriously. With Tom Mitchell out of the picture, Kelly could claim the mantle as the best midfielder for 2019 and his previous seasons only support that claim. The last two years have seen Kelly show pig-ish tendencies averaging 111.2 throughout his past 36 games. Not only have his averages been impressive, but Kelly has showcased an enormous ceiling scoring 120+ 27% of the time with four unreal games over 150! It’s no secret that the Giants gun could be in for a big year with Roy giving Kelly a nod at M5 in his latest January rolling 22 and a permanent spot as a top-8 mid this year seems like his to lose. An added bonus is Kelly can score his points in a variety of ways not afraid to chalk up 10+ tackles (something he’s done half a dozen times through the past two years) with a fantasy-friendly style of play. Kelly did get a bit handball happy in 2017, but last year he recorded 1.5/1 kick to handball ratio. Every point counts right? But wait, there’s more. With Dylan Shiel bolting in the off-season you would assume that the midfield maestro in Kelly only benefits from Shiel’s exit. Sure, some of his teammates like Stephen Coniglio could also be in for a boost, but we have seen Kelly become a high-possession type of player through his first 100 career games. Speaking of his teammate Coniglio, who looms as another staple among the top scorers in 2019, if you want to choose him instead of Kelly you’ll have to fork out a few extra thousand dollars with Cogs nursing a $804K price tag. Kelly’s price checks in at nearly $100K cheaper than top dog Jack Macrae as well, with every dollar saved crucial when picking your starting side. While I’m high on the potential for Kelly this season there are a handful of red flags. Even though he had a bit of lacklustre season a year ago with injuries taking their toll, you have to wonder just how much value there is in picking a player like Kelly. He still managed to average 108.4 through 15 games and it’s unlikely that he’ll jump more than 10 points in average. Kelly could still be a 115 type of player, but if you’re paying top dollar you might be inclined to opt for someone who offers more value. While all reports indicate that Kelly’s body will be fit and firing to go from Round 1 the injury bug is always a worry. In a chat he had on Giants TV back in mid-November he said that things were travelling well after a knee complaint forced him to miss last year’s semi-final against Collingwood in the s. That wasn’t the only blemish from last year with a groin complaint sidelining the Giant for six rounds earlier in the year, burning all of us that invested in him from day dot last season. A third injury which came in the form of a concussion held him out of the Round 22 game against the Swans and probably played a factor in Kelly finishing the year with consecutive scores of 67. Yuck. Finally, any dominant ball winner is going to be a focus point of opposition coaches and Kelly will no doubt have plenty of attention heading his way this year. We saw Lachie Whitfield impacted by the tag last year, and some teams may opt to send their shut-down guy to him in an effort to quell his influence. However, Kelly wasn’t on the park for a handful of those games and if he really is back to his best, they’d be crazy to not try and at least slow him down. 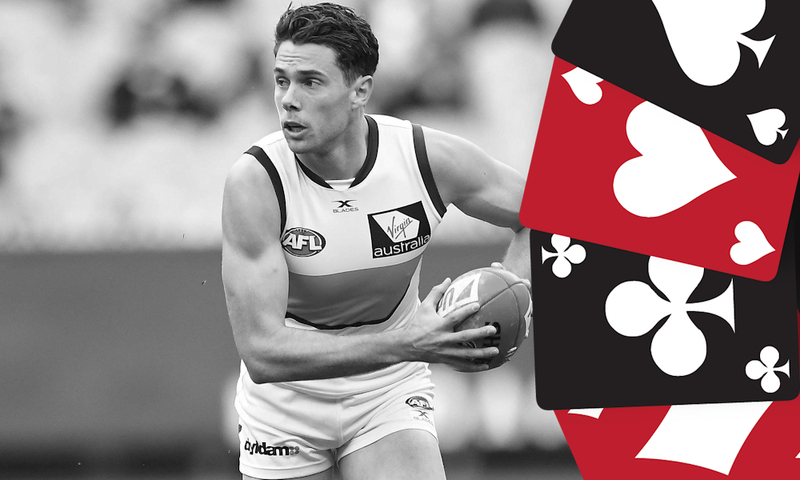 KING – While the upside is questionable there is still some value in picking Josh Kelly. A wait and see approach might be wise with Tim Taranto and Jacob Hopper set to take a step up in their development and Stephen Coniglio bound to win his fair share of the footy. That being said, there are only a handful of players in the competition with the class and fantasy prowess of Kelly and if you can get him at any discount you’re coming out ahead.